Cleaning gel for daily care. Gently cleans and disinfects. For denture durability. Without eucalyptus oil, 60 ml. Cleaning concentrate to dilute. Gently cleans and disinfects. For denture durability. Ideally, dentures are placed in the practical cleaning box. Without sea salt, 100 ml. This practical cleaning box makes cleaning dentures easier with its insert drainer. Suitable for the intensive soaking of partial and full dentures as well as orthodontic devices. Bacterial deposits and stains never stand a chance with the patented denture brush. Its two sets of bristles clean all parts perfectly. Care set in its beauty bag contains: BDC 100 daily, BDC 105 weekly concentrate, BDC 111 box, BDC 150 brush and a CS 5460 ultra soft toothbrush for extra gentle gum massage. Denture care is important for maintaining oral hygiene, health and quality of life. The CURAPROX Biological Denture Care BDC system has decisive benefits. It has a natural basis of citric acid: the solutions used for daily and weekly cleaning are naturally gentle – dentures stay as good as new. Easy to use: the combination of natural cleaning agents and patented denture brush make all the difference in terms of a fresh feeling and wearing comfort. No discoloration: dentures are not bleached,, do not become brittle or even fragile, as often happens with regular denture cleaners. White stays white and pink stays pink. Cleaning solutions, brushes and denture bath in the CURAPROX BDC – Biological Denture Care – set are designed for compatibility. 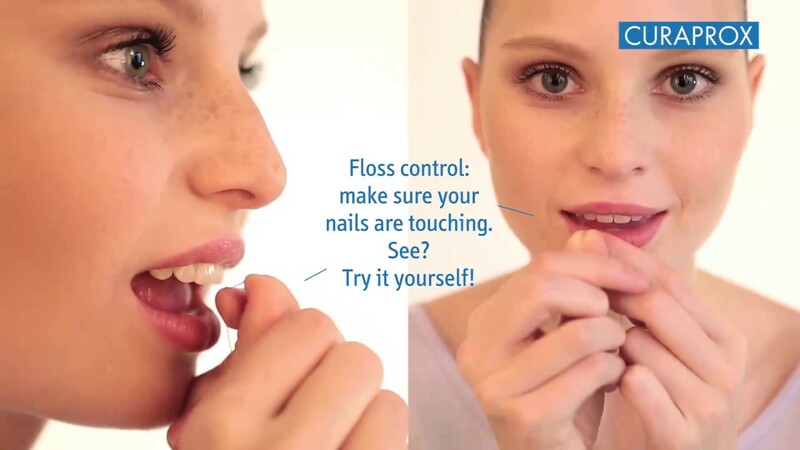 This oral care system makes it easy to give first-class care to first-class dentures. In fact, dentures need just as much care as the original teeth. Clean daily, disinfect weekly – and the mouth and gums will stay clean and healthy and well supplied with blood. Naturally and without chemicals, CURAPROX BDC products ensure clean dentures. Standard denture cleaners based on oxygen disinfection attack denture plastic, making the surface porous and easy for bacterial toxins and fungal spores to take hold. In contrast, CURAPROX BDC uses the natural cleaning power of citric acid to reliably remove harmful plaque while treating the denture plastic carefully. Dentures look like new for years. However much it takes to get used to them: dentures are a positive aspect for your health – and your personal well-being. Dentures make you look younger. You gain new assurance when dealing with others; chewing and speaking become easier. Gums can still become inflamed under dentures if not cleaned effectively, as food particles can get trapped leading to gingivitis and if left periodontitis or gum disease. If you clean your dentures every day and soak them once a week with CURAPROX BDC products you will ensure that a healthy environment in the mouth is maintained. Your dentures will not become brittle. They will look like new for many years. CURAPROX BDC products help you to look after your dentures and safely remove all deposits with daily and weekly use, without attacking your high-quality dentures. CURAPROX BDC uses the natural power of citric acid. This has both aesthetic and health benefits: citric acid prevents the formation of micro-cracks in dentures. These micro-cracks are a health risk – and they are caused by commercial detergents based on aggressive oxygen. Harmful toxins or fungus get into these cracks, becoming unhealthy and making the dentures unsightly. In contrast, no micro-cracks are created by CURAPROX BDC und dentures will look like new for years. The CS 5460 ultra soft will counteract the bacterial toxins that collect on the gums under dentures. With its 5,460 ultrafine bristles, or filaments as they are called, the CS 5460 toothbrush has a very dense surface that cleans gently. It also stimulates the gums particularly well for good circulation.